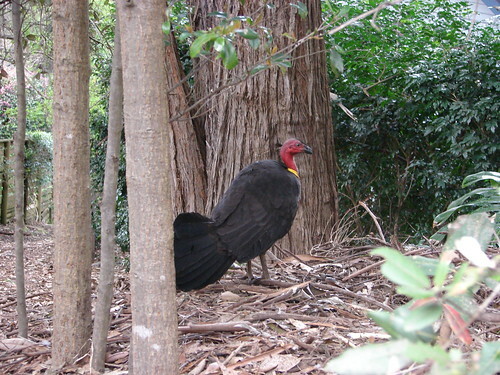 We’ve had brush turkeys hanging around near our place for a couple of years now and this year they’ve chosen to build their nest in the front yard of one of our neighbours. 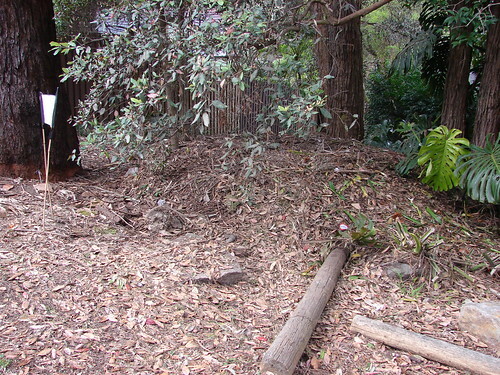 There’s an access path that runs down between their place and the next to the bush reserve behind our houses (we’re a couple of houses further down), so there’s plenty of material for the birds to work with and the mound is quite an impressive size. I took a short video too, nothing special but I thought I’d throw it up here anyway. 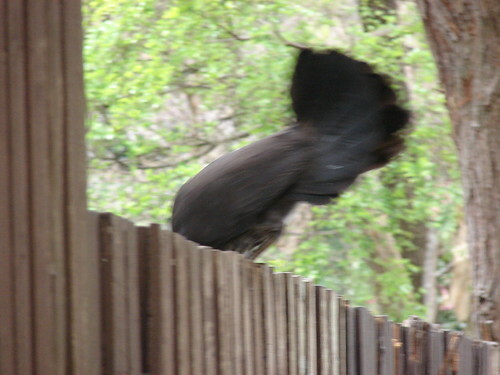 The turkey scratched its way to the fence and then headed on up and over into the backyard of the next house. OMG – that is sooooo freakin cool! 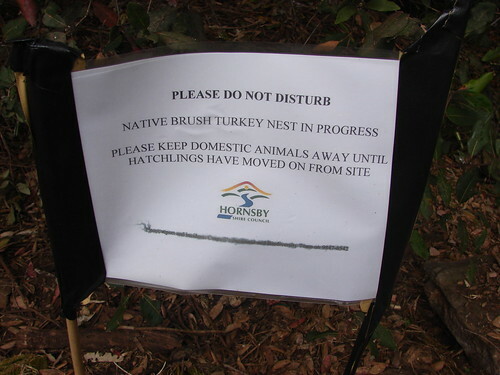 I’ve seen brush turkey nests before, but never a real live “in the wild” virgin turkey so to speak! Thank you sooooo much and I look forward to sharing it with the girls tomorrow..
We have wild turkeys in our front yard sometimes. We get really excited about it. 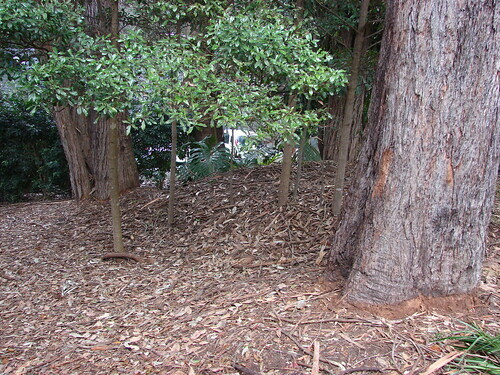 It’s one thing I like about living here–we have a nice amount of interesting wildlife.